For many children, being able to sing with the full spectrum of voice types is something they have to wait until they are grown to experience. Because our program runs from age 3 up until age 25, and because we often sing with adult choirs, and musical groups with varying voice types, we are able to expose our choristers to the full range of the human voice. This is essential to their ear training, and to their confidence as singers, as they move from childhood through adolescence and into adulthood. We accept singers of all abilities, and this helps us to foster a community of people who above all, love singing. We believe that everyone has something to learn, and that allowing different ages, and musical abilities to come together to make music, ensures that everyone can take something valuable away from the experience. 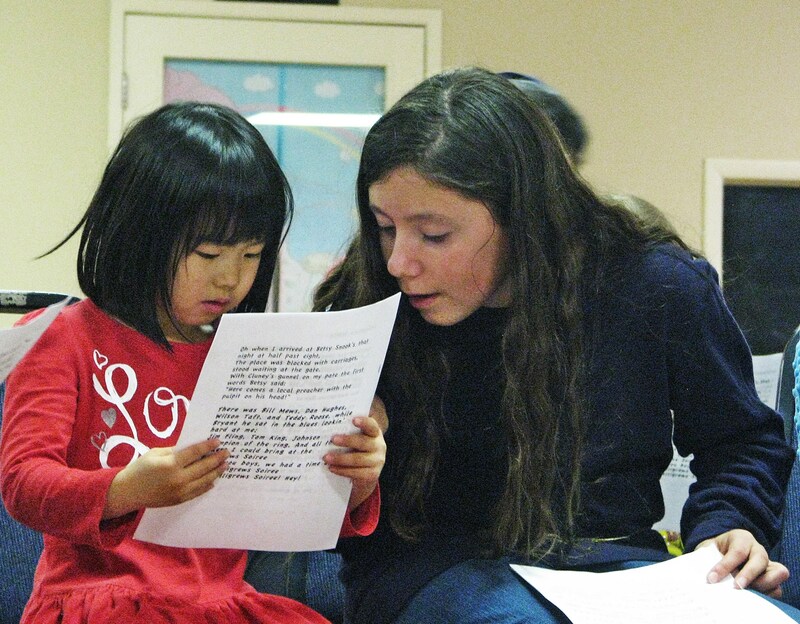 In the Calgary Children’s Choir we have developed a mentorship program from our youngest singers to the oldest. This program ensures an inclusive, and welcoming environment for all singers, and provides support to our newest choristers, or those who need extra help with music. Our eldest choristers, look out for the youngest ones (and sometimes vice versa! ), ensuring a caring, and committed group of choristers who are happy to be together and make wonderful music! Why do you think it is valuable for people of all ages to sing together? Tell us in the comments below!